The Black-Tek Tower is a vertical Lifter for the SHOTOVER G1. It can be mounted on either the OFFROAD Extreme Nissan Navara with 38 inch modification tires and FOX shock absorbers or Mercedes Benz ML55 Track car for tarmac. It is optimized for HighSpeed use and quick change over. 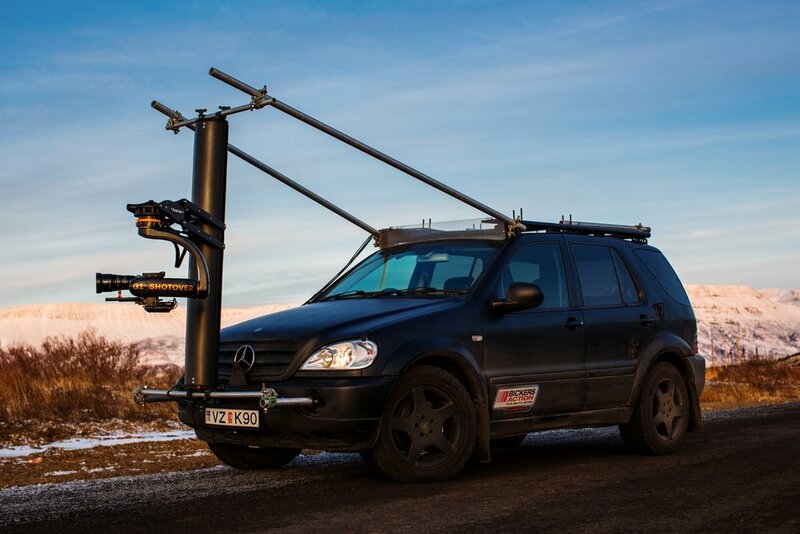 The GripKit is the most versatile System for rigging a camera on any flat surface especially cars. With its design you can easily change between different shapes of suction cups depending on the available surface. With the CameraKit you are really fast! It takes only 5 minutes to be ready for the camera. The system fits perfectly onto the hood of a car. With its built in angle plate it can be used as a classic door mount as well.